It is the little things that make Mamma happy. Enjoying a coffee is HIGH on the list. Add to that - an uninterrupted coffee and you have made Mamma's DAY! That is were Heirs Of Grace in Wantirna South goes above and beyond. Husband and wife team have made this cafe a haven for families. The entire back half of this cafe is for the kids. 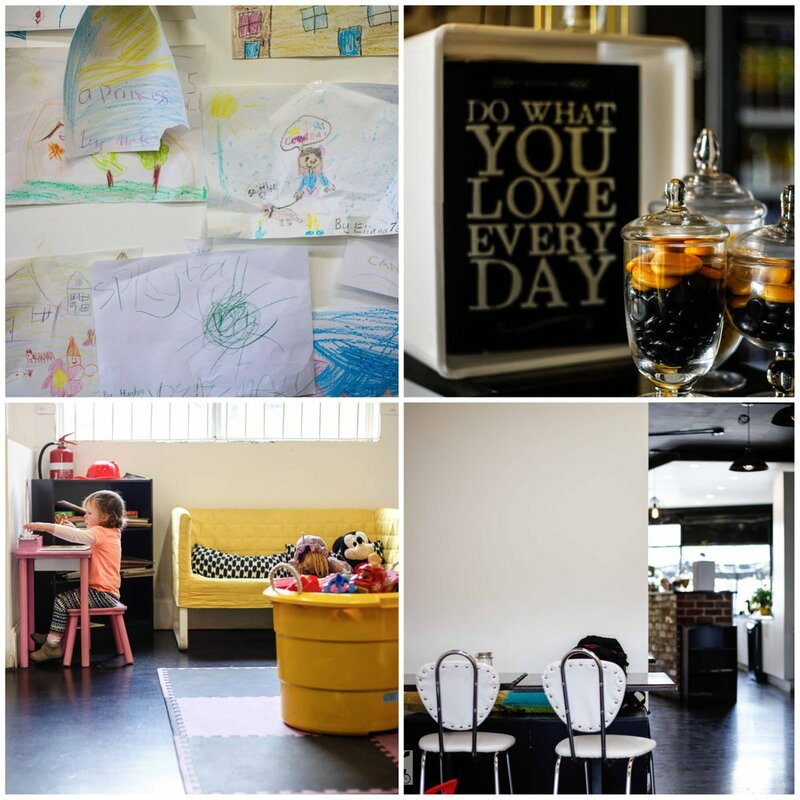 A playroom compete with couches, toys, a play kitchen, mini tables with colouring and books to read. Mamma can sit right there while Bubs plays and eat her lunch in peace! Sandwiches, cakes and coffee is the specialty of the house - so too is a babycino with sprinkles on top. I know where you might be heading with your mothers group one day soon! Mamma's special mention: The cafe is opposite Westfield Knox, on the bus depot. It makes a great space for when you need to 'power-up' before braving the shops!